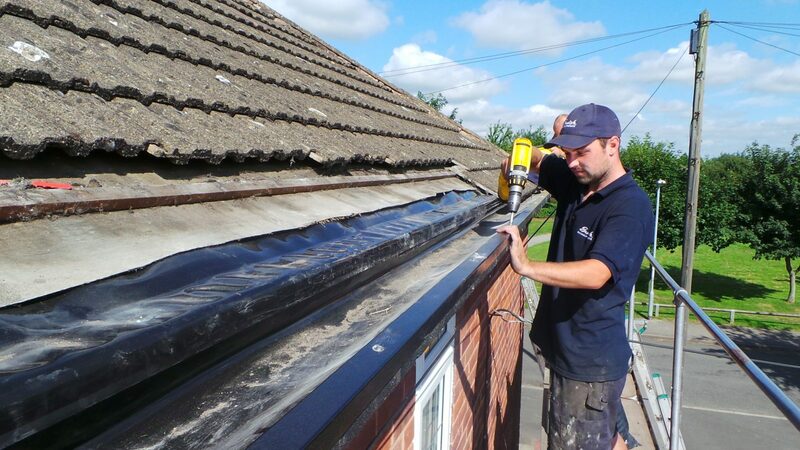 Offering competitive prices for guttering repairs and replacement in and around Leicestershire, with only the best professional team to handle the job! Replace leaking gutters with seamless guttering from The Roofline Replacement Company and enjoy gutters which offerlong-lasting strength and durability. 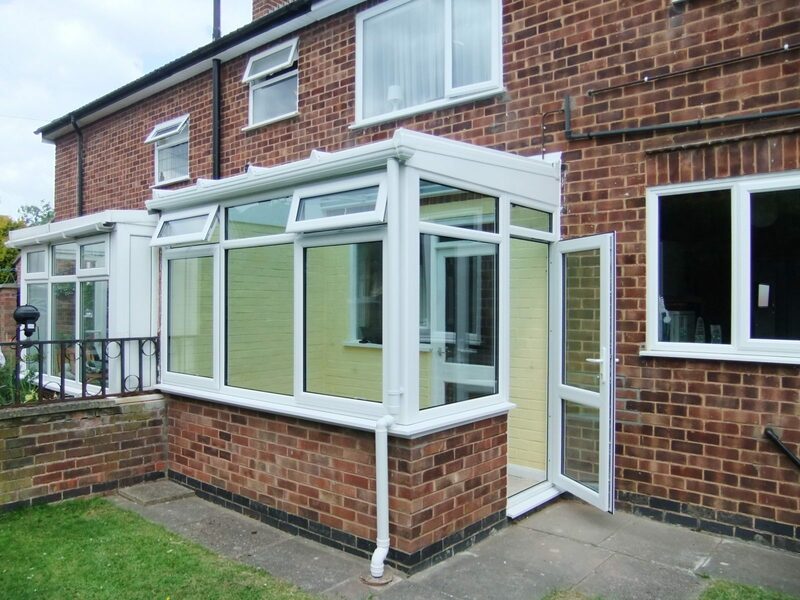 We have extensive experience of replacing uPVC, cast iron, concrete and aluminium gutters throughout Leicester. Replace leaking gutters with seamless aluminium guttering from the roofline replacement company and enjoy gutters which offer long lasting strength and durability. 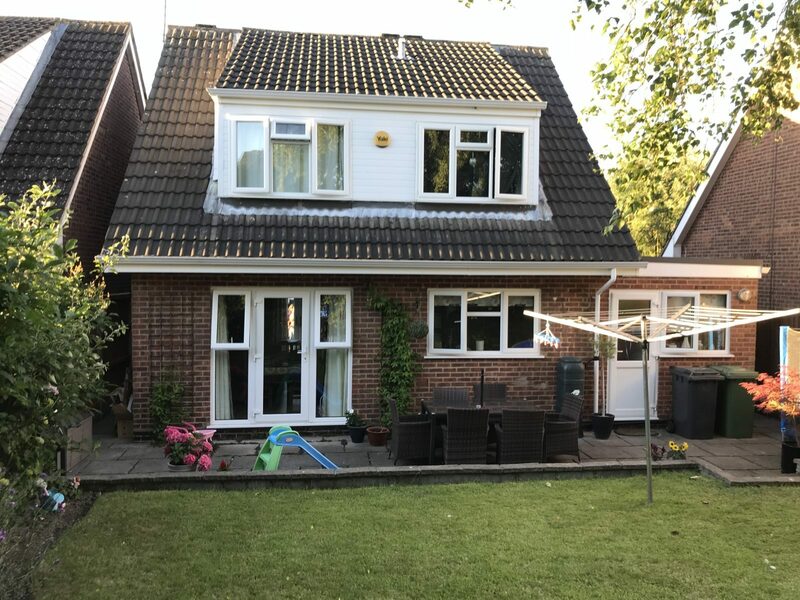 We have extensive experience of replacing UPVC, cast iron and other gutters throughout Leicester with high quality seamless aluminium or UPVC guttering. 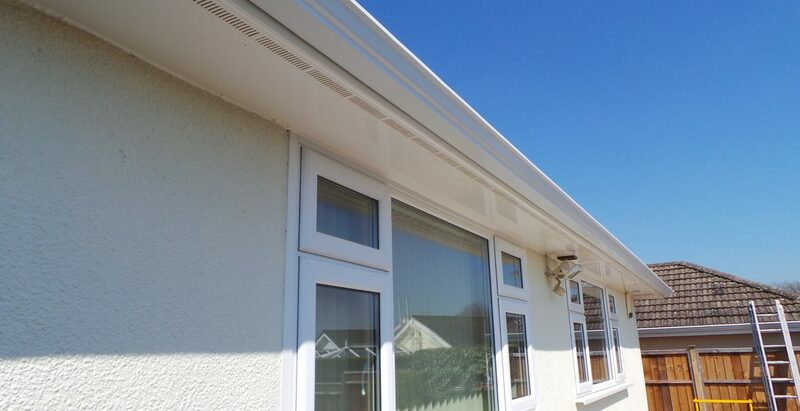 Our mustang seamless aluminium guttering system is of very high quality. Hardwearing scratch resistant and so rigid it can take the weight of a ladder, it is extruded in one length which means there are no joins eliminating the chance of leaking gutters. As well as being continuous in length of aluminium eliminating the need for joins, all the support brackets are fixed internally to create a nice smooth uninterrupted look. Finished with epoxy resin powder coating, it does not require painting, will not fade and is available in white, black, brown or anthracite grey. This elegant yet robust system will not crack and creak in hot o5r cold weather and is the perfect choice for any home. 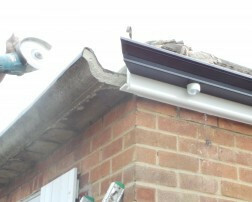 Alternatively we can install standard sectional upvc guttering in a style and colour of your choice. If you have concrete guttering in Leicester which is leaking, we can provide a cost-effective solution in the form of our Rubberised Plygene Gutterline® Secondary Guttering System. We have used this highly reliable system at hundreds of local homes, and have also provided guttering for local authorities, housing associations, the MOD, NHS and a whole host of other commercial premises. Gutterline® has been specifically developed for sectional concrete gutters, and is custom-made for each project to ensure a perfect fit. Supplied on a seamless roll to minimise the number of joints and risk of leaks, it is designed to last for many years to come. Rubberised Plygene is strong enough to withstand cracking and splitting too, so will remain in top condition with very little maintenance. What’s more, our guttering system comes with a 10-year guarantee, giving you the peace of mind that your investment and your property, are protected. Contact us now for more details or a quotation from our expert. 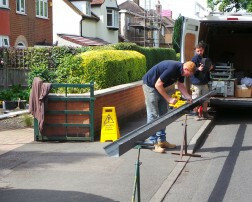 In most cases it is possible to completely remove your existing concrete guttering at your Leicester home. 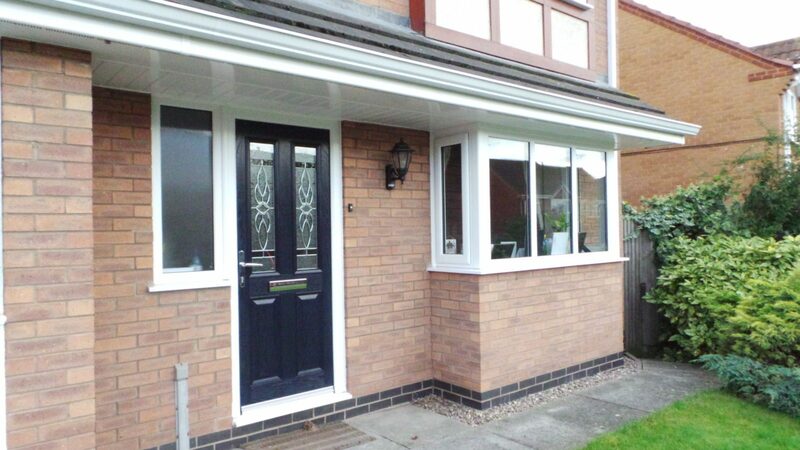 We can replace it with UPVC fascias and seamless aluminium guttering, our Leicester based estimator can advise on the various options. By removing the first layer of tiles our installer can remove the front section of concrete from your gutters. This will enable us to install the new soffits fascia and guttering without causing any problem to the structure of the building. Removing your old concrete gutters does not only eliminate the leaking concrete but also completely changes the appearance of your property. Contact us now for more details or a quotation from our estimator.